John Mutter and Jenn Risko, the founders of Shelf Awareness, are very pleased to announce that Neil Strandberg, director of technology of the American Booksellers Association and, earlier, longtime bookseller and manager of the Tattered Cover, Denver, Colo., is joining Shelf Awareness as director of technology and operations. As the Shelf begins to celebrate our 10th anniversary, we can't think of a better way to insure our next decade of continued success than by investing in technology and talent. Our industry would be hard pressed to find anyone who has more bookselling and tech experience, and who has accomplished more; he sees innovating for booksellers as a true vocation--and we agree! Neil began his bookselling career as a bookseller at A Clean Well-Lighted Place for Books in San Francisco, Calif., then moved to Tattered Cover, where he started in 1989 as a bookseller. After four years he was promoted to floor manager, then store manager, retail manager and, finally, manager of operations, a position he held from 2002 to 2012. In 2012, he joined the ABA as director of technology. He has also participated in numerous book world organizations. Since 2013, he has been a member of the Book Industry Study Group board of directors. Earlier, he was a member of the BookExpo America Advisory Council; the Tattered Cover representative to the Independent Booksellers Consortium; and v-p and board member of the Mountains & Plains Independent Booksellers Association. Also, in 2007, he won the MPIBA's Gordon Saull Bookseller of the Year award. Neil commented: "My career has really been all about supporting booksellers and their customers. I see joining the Shelf Awareness team as continuing to put books and people together, with an increasing emphasis on how technology can help the people in this business do what they do best: write, publish, promote, curate and sell books. "This is an intensely exciting opportunity for my family and me, and we're all looking forward to moving back to the West. (Perhaps I'll take up mountaineering again!) I need hardly tell anyone in the indie book business that Shelf Awareness has been extremely successful during its first 10 years, and I'm pinching myself that Jenn and John have asked me to join the team. Shelf Awareness is in a fantastic position to build its own future and I'm deeply grateful to be asked to help." Oren Teicher, CEO of the ABA, said, "All of us at ABA will miss Neil a great deal. He's been a highly valued employee and has led us through some critically important changes in our ability to better serve the tech needs of member stores. While we are very sorry to see him go, we are delighted he'll be joining our good friends at Shelf Awareness, where we know he'll continue to be engaged in helping indie bookstores. We wish him and his family well." 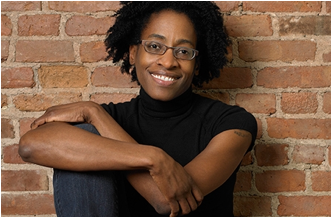 Jacqueline Woodson has been named the Young People's Poet Laureate by the Poetry Foundation. Awarded every two years, the $25,000 laureate title is given to a living writer in recognition of a career devoted to writing exceptional poetry for young readers. The laureate advises the Poetry Foundation on matters relating to young people's literature and "may engage in a variety of projects to help instill a lifelong love of poetry among the nation's developing readers." "Jacqueline Woodson is an elegant, daring, and restlessly innovative writer," said Poetry Foundation president Robert Polito. "So many writers settle on a style and a repertoire of gestures and subjects, but Woodson, like her characters, is always in motion and always discovering something fresh. As she once told an interviewer, 'If you have no road map, you have to create your own.' Her gifts, adventurousness and generosity, suggest she will be a terrific young people's poet laureate." Woodson has written more than 30 books for children and young adults. She won the 2001 Coretta Scott King Award for Miracle's Boys and the National Book Award last year for Brown Girl Dreaming. In addition, From the Notebooks of Melanin Sun (1995) was named a Coretta Scott King Honor Book and won a Jane Addams Children's Book Award. Hush (2002) and Locomotion (2003) were National Book Award finalists. Show Way (2005), Feathers (2007) and After Tupac & D Foster (2008) were Newbery Honor Books. Woodson has also won a Margaret A. Edwards Award for lifetime achievement in writing for young adults, a St. Katharine Drexel Award and an Anne V. Zarrow Award for Young Readers' Literature. Milena Alberti has been named chief financial officer of Penguin Random House, a dual U.S. and global position, effective July 1. Most recently head of global corporate finance, Alberti was involved in the merger and formation of Penguin Random House from the beginning and was one of the architects of last year's acquisition of the trade publishing assets of Santillana Ediciones Generales. She will have a seat on the Penguin Random House board of directors, and will become a member of both Penguin Random House's North American board and its global executive committee. She succeeds Coram Williams, who is becoming CFO of Pearson later this summer. Alberti joined Random House nearly 14 years ago and led the Vintage Español U.S. imprint from 2004 to 2010, before being named v-p, mergers and acquisitions, for Random House. In 2011, she became head of the corporate development and strategy team, and in February 2014, she took her most recent job. James Johnston is being promoted to the newly created position of senior v-p, deputy CFO, Penguin Random House. He was formerly senior v-p, worldwide and U.S. financial reporting, planning and accounting. 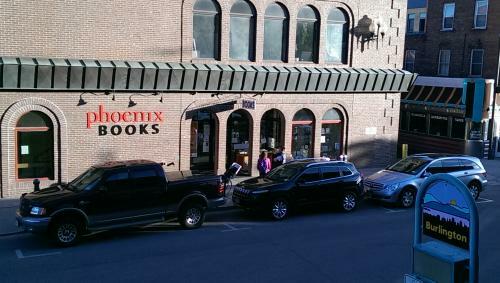 Phoenix Books, which will open its third location, in Rutland, Vt., in August, has taken on two minority owners--Tricia Huebner and her husband, Tom--the Rutland Herald reported. Tricia, who will manage the store, said, "I've got books in my blood." Phoenix co-owner Mike DeSanto told the paper that this is the first time he has brought on a minority owner to serve as manager. He explained: "I live in Milton. We want this business to be local. It made sense to me that we seek out someone local who has a love of books to be a part owner in Rutland… It's a template for what could be done in other communities in Vermont." DeSanto said that when he was doing fundraising for the store (54 local residents and businesses signed up to pay $1,000 in advance on books), Tricia Huebner expressed interest in being "more than just a supporter." Coordinator of the Everybody Wins program at Rutland Intermediate School for the past nine years, Tricia Huebner has been training at Phoenix's Essex, Vt., store. Among her ideas for putting a local twist on the Phoenix store in Rutland are adding stationery to make up for the closing of the town's stationery store. The new Phoenix Books has a 2,400-square-foot space in the first floor of the former Lake Sunapee Bank building. Rutland has been without an indie selling new books since Book King closed last July after 43 years in business. 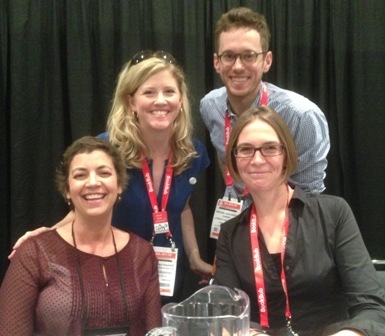 In an ABA education session entitled "The Modern Bookseller's Graphic Novel Section" at BookExpo America last week, Becky Anderson Wilkins, co-owner of Anderson's Bookshops in Naperville and Downers Grove, Ill., and Michael Link of Joseph-Beth Booksellers in Cincinnati, Ohio, shared some insights they've gained from managing graphic novel sections over the years--and integrating graphic novels into other sections around their stores. Mark Siegel, editorial director for Macmillan's graphic novel imprint First Second Books, moderated the discussion. "You can grab that reader, that visual person who may not think, 'oh I'm going to look at graphic novels,' " Wilkins said. Integrating graphic novels into other sections and pairing them with great shelf talkers, she continued, can frequently help improve sales. When it comes to shelving graphic novels, Link said, "It's not so much where do we want it, but where is it going to find its reader." It was a "boon," he added, to start experimenting with placing graphic novels in different areas around the store. Later in the discussion, an audience member asked the panelists how a bookseller can best develop a graphic novel or manga section without a staffer who has the requisite knowledge. Link suggested asking customers who love manga or graphic novels what they would want to see in those sections and what classics no worthwhile section can do without. Getting those kinds of lists from customers, he said, was invaluable. Said Link: "You can bring in every volume of whatever, but if it's not being read, it's going to sit." "Everything we do is just a way to show people that we're not robots, that we're real people in a real bookstore," said Mike Gustafson, the co-owner of Literati Bookstore in Ann Arbor, Mich., during an education session called "Taking the Conversation Online: How Blogging & Social Media Build Community (and Sell Books)." Mary Laura Philpott, social media director at Parnassus Books in Nashville, Tenn., moderated the discussion, while Julie Wernersbach, marketing director at Bookpeople in Austin, Tex., and Heather Duncan, marketing director for the Tattered Cover in Denver, Colo., rounded out the panel. "As a store that sells stories, I think the most effective way to reach our customers is through stories," continued Gustafson. He used his store's social media, he said, to tell three types of stories: a story of the day that happened in store, customer-generated stories and imaginative stories. Referring to Austin's city motto, "Keep It Weird," Wernersbach said, "In the back of my mind, we want to communicate that spirit." Through social media, she explained, Bookpeople aims to "show people that we are people--you can come in and see us." In addition to keeping track of new releases, author events and store goings-on, Wernersbach also makes an effort to share book news. "You want to communicate what's going on with your store, but we think of ourselves as offering a little bit of a window in the book world," she said. "That always goes over very well." At the Tattered Cover, Duncan said, she tries on social media not just to compile the store's many events. "We do about 550 author or other community events every year," she noted. "That can get a little event heavy. We try to intersperse community things that we find really interesting." "A lot of our posts don't even have to do with bookselling," said Philpott. In addition to posting information about author visits, community events and new releases, she sometimes posts pictures of booksellers or of their dogs. She also uses the store's social media to promote its online magazine and blog Musing. "It widens the reach of our booksellers," she continued. "We take all the wonderful things we have access to and spread that access out further." "There's a lot of change and turbulence, but people basically like bookstores," said John Evans, the owner of DIESEL, a bookstore in Oakland, Larkspur and Brentwood, Calif., during a panel discussion called "Ten Years of Independent Thinking" that also featured Mark Reynolds, editor-in-chief of Europa Editions. 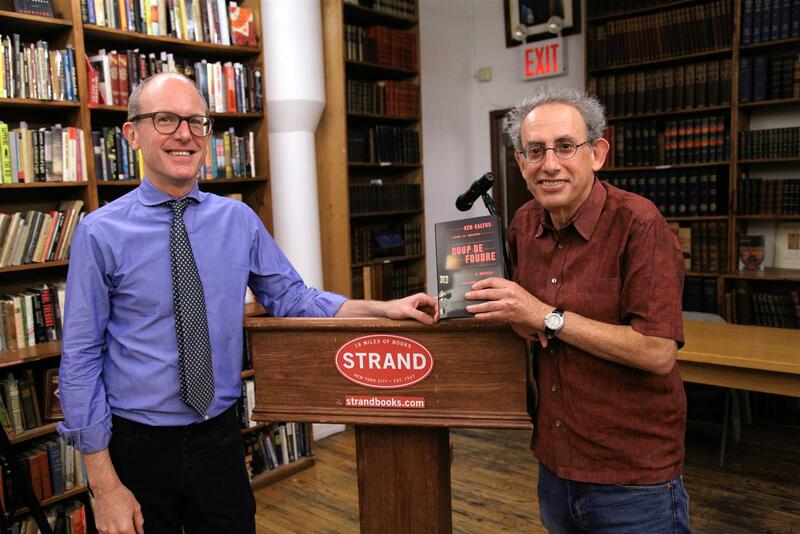 Earlier this week, the Strand, New York City, presented journalist and National Book Award finalist Ken Kalfus (r.)--whose latest short story collection is Coup de Foudre (Bloomsbury)--in conversation with Lorin Stein, editor of the Paris Review. You can watch the interview here. Changing Hands Bookstore's Phoenix location and the Arizona Republic are teaming up to form the First Draft Book Club, "a monthly gathering of friendly book lovers" facilitated by "reporter and bookworm extraordinaire" Barbara VanDenburgh. The first meeting is scheduled for June 24 at the First Draft Book Bar, where the title under discussion will be Tim Johnston's novel Descent. "It makes for a stronger community," said co-owner Cindy Dach. "You have this group of people who have something in common, which is a book to talk about." "A stronger community is what she hoped for when Changing Hands, based in Tempe, opened a second location in central Phoenix a little more than a year ago," VanDenburgh wrote. "It's more than a bookstore, it's a gathering space, with roomy meeting areas and a bar that serves craft beers, wine and coffee drinks. That convivial vibe, Dach hopes, will encourage new patrons to check out the club, even if they just want to have a pint and listen." Descent "exists in that magical intersection of inspiration and craft," VanDenburgh added. "That's where we hope to find all our selections for the First Draft Book Club, books so good they'll catch like wildfire if enough people light a match. It's something that Dach calls 'the subway effect': When a new book shows up in somebody's lap on the subway, and the next day everyone's reading it. To Dach, that's not a privilege New York owns." "By picking new books, we can be tastemakers," Dach said. 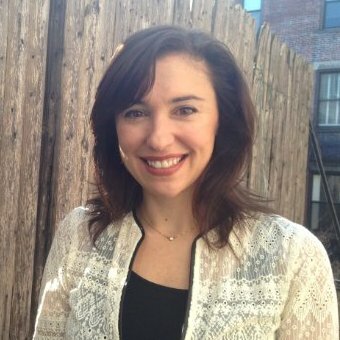 Caitlin Mulrooney-Lyski has been promoted to associate director of publicity, Grand Central Publishing. She joined the publicity team in 2012 and earlier worked at Penguin and Wordstock, Portland, Ore.'s literary festival. "In an ideal world, we would all read Wiley Cash's debut novel, A Land More Kind Than Home, while sitting on the front porch with a sweet tea in one hand and a devoted mutt at our feet. Not that one needs to be living in or fully ensconced in Southern culture to appreciate the story of 9-year-old Jess Hall. One Sunday Jess watches as his autistic brother is called into a little church in their small town. No one will talk about what happened inside the church; at the heart of the mystery is a snake-handling ex-convict turned preacher with an unknown past. "Told in three distinct voices, A Land More Kind Than Home blends suspense, family drama and small-town dynamics into an example of powerful storytelling at its finest." Bobby Wonderful: An Imperfect Son Buries His Parents by Bob Morris (Twelve). Today on Fresh Air: Andrew Solomon, author of The Noonday Demon: An Atlas of Depression (Scribner, $35, 9781451611038), which was reissued last year. Tomorrow on Tavis Smiley: T.C. Boyle, author of The Harder They Come (Ecco, $27.99, 9780062349378). A new trailer has been released for Paper Towns, based on John Green's novel and starring Nat Wolff, Cara Delevingne, Shailene Woodley and Ansel Elgort. Jake Schreier (Robot & Frank) directs. Indiewire noted that "in a summer of big, special-effects blockbusters, don't count this one out. The author has a big following, these are two young stars on the rise, and if it finds the same audience and critical reception as Faults, it'll be a winner." Paper Towns opens July 24. Warner Bros. announced that Oscar-winning actor Eddie Redmayne (The Theory of Everything) will play Newt Scamander in the Harry Potter prequel Fantastic Beasts and Where to Find Them. Deadline.com reported that the film, which marks J.K. Rowling's screenwriting debut, is slated for worldwide release in 3D and Imax November 18, 2016. David Yates, who directed the last four Harry Potter films, is the director and David Heyman, producer of all eight Potter movies, is producing. 7:30 p.m. A tour of the New York Times Book Review. 9 p.m. Joseph E. Stiglitz, author of The Great Divide: Unequal Societies and What We Can Do About Them (Norton, $28.95, 9780393248579). British author Ali Smith has won the £30,000 (about $45,960) Baileys Women's Prize for Fiction for How to Be Both (Pantheon). "Ancient and modern meet and speak to each other in this tender, brilliant and witty novel of grief, love, sexuality and shape-shifting identity," said chair of judges Shami Chakrabarti. Finalists in five categories have been announced for the Midwest Booksellers Choice Awards, which are voted for by members of the Midwest Independent Booksellers Association and honor books that are "pertinent to the region either in content or in regard to the authors hometown or current residence." Winners will be announced July 14, and celebrated October 9 during the opening reception for the Heartland Fall Forum. See the complete shortlist here. Pieces of My Mother: A Memoir by Melissa Cistaro (Sourcebooks, $24.99, 9781492615385). "Cistaro's story begins with the last days of her mother's life, 35 years after she abandoned her children and husband with no explanation. Cistaro is still seeking the truth and the one answer that she feels she needs most desperately--why did her mother leave? What is most impressive about this memoir is the honesty with which the author details her own anxieties, and readers will relate to her and cheer her on when she makes an important, life-changing decision. This is an amazing story of forgiveness, connection, understanding, and grace." --Lynn Riehl, Nicola's Books, Ann Arbor, Mich.
Church of Marvels: A Novel by Leslie Parry (Ecco, $26.99, 9780062367556). "In this page-turner of a debut very little is what it first appears to be. Set in Coney Island and Manhattan at the end of the 19th century, Church of Marvels is populated with carnival folk and others living on the edge of society with either much to hide or much to discover. The characters are richly drawn and their circumstances exceptionally intriguing as they seek and find the complicated truths of their lives in the dark underbelly of New York." --Cathy Langer, Tattered Cover Book Store, Denver, Colo.
Herbie's Game: A Junior Bender Mystery by Timothy Hallinan (Soho Crime, $15.95, 9781616955403). "Amiable burglar Junior Bender is forced to chase down a stolen list of names before everyone on it ends up dead. First to fall is Junior's mentor and surrogate father, Herbie, who stole the list in the first place. This delightful mystery poses the question: Do we ever really know the people we love, and do we need to know everything in order to love them?" --Lisa Wright, Oblong Books & Music, Millerton, N.Y. The Arctic Code by Matthew J. Kirby (Balzer + Bray, $16.99, 9780062224873). "The Earth is in a new ice age and Eleanor's mother is a scientist working in the Arctic to find sources of oil to help with the world's disaster. When her mother goes missing, Eleanor stows away on an airplane to get to the station at Barrow to help find her. The search launches Eleanor on a race to discover what is happening to our planet and to uncover a threat that may not be of this world. A great start to a new series!" --Sue Mason, Waucoma Bookstore, Hood River, Ore. Hold Me Like a Breath by Tiffany Schmidt (Bloomsbury, $17.99, 9780802737823). "Schmidt has taken a classic fairy tale and turned it on its head, crafting a unique backstory and a compelling world for her reimagined heroine. No longer a one-note princess, Penelope Landlow is a modern twist on a well-known archetype, and her struggle to pick up the pieces of her family's shattered legacy will leave readers wanting more. A stunning start to a new series." --Lauren Strohecker, Farley's Bookshop, New Hope, Pa.
Ellie by Mike Wu (Disney/Hyperion, $16.99, 9781484712399). "Oh, no! The zoo is about to be shut down! What can the animals do? The monkeys, giraffes, and other animals start cleaning up the zoo, but what can Ellie, the baby elephant, do to help? Then Ellie picks up a paint brush and starts to paint. She paints with beautiful colors and creates loving pictures of her friends. Find out if the animals can save their home in this charming new book." --Anna Brindley, Blue Phoenix Books, Alpena, Mich.
All the Single Ladies: A Novel by Dorothea Benton Frank (Morrow, $26.99, 9780062132567) follows three women in the lowcountry of South Carolina. The Fixer by Joseph Finder (Dutton, $28, 9780525954613) is a thriller about a man who finds millions of dollars in the walls of his father's old house. Language Arts by Stephanie Kallos (Houghton Mifflin Harcourt, $27, 9780547939742) features an English teacher with an autistic son. Blueprints: A Novel by Barbara Delinsky (St. Martin's Press, $26.99, 9781250007049) follows a mother and daughter who host a home renovation TV show. Second Life: A Novel by S.J. Watson (Harper, $26.99, 9780062060587) is a thriller about a woman investigating her sister's murder. The Boy Who Played with Fusion: Extreme Science, Extreme Parenting, and How to Make a Star by Tom Clynes (Eamon Dolan/Houghton Mifflin Harcourt, $28, 9780544085114) chronicles a teenager who built a fusion reactor. Midnight's Furies: The Deadly Legacy of India's Partition by Nisid Hajari (Houghton Mifflin Harcourt, $28, 9780547669212) explores the splitting of British India into India and Pakistan in 1947. Untamed: The Wild Life of Jane Goodall by Anita Silvey (National Geographic, $18.99, 9781426315183) is a biography for young readers. Accidents of Marriage: A Novel by Randy Susan Meyers (Washington Square Press, $16, 9781451673050). Only a Promise: A Survivors' Club Novel by Mary Balogh (Signet, $7.99, 9780451469670). Me and Earl and the Dying Girl, based on the novel by Jesse Andrews about a teenage filmmaker who befriends a girl with cancer, opens June 12. A movie tie-in (Abrams, $9.95, 9781419719608) is available. 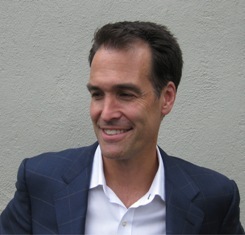 Peter Ferry (Travel Writing) crafts a wise and delicate novel of aging, love and autonomy in Old Heart. Tom Johnson is an old man. He has been widowed, and thereby freed from a troubled marriage, for a number of years. His adult children have begun pressuring him to sell the house in Illinois and move into a home. The motives of his son the gambling addict are suspicious; his daughter's are likely pure. His eldest child, who had Down syndrome, was Tom's best friend, but his death has given Tom the opportunity to pursue an old mystery. And so Tom plots to run away, leaving no clues behind save a note for his family: "I am not coming back." He then travels to the Netherlands to track down a Dutch woman he knew during World War II, with whom he had "invented love." He knows the chances of finding Sarah alive are poor, but he is driven nonetheless. "This is my life, whatever is left of it," he writes in the note to his children. The half-hidden narrator of Old Heart is Tom's granddaughter Nora, a graduate student who had just begun recording the story of Tom's return from the war and the beginning of his long-lived but unhappy marriage. When Tom makes his escape, Nora is the only one he takes into his confidence, and she relates parts of his story from her perspective. In other chapters, he chronicles his personal history--the parts where he meets and loves Sarah--in long letters to Nora. Throughout, the question of Tom's mental competence looms over his narrative. Of course, upon his arrival in the town where he knew Sarah, Tom does not find what he hoped he would; what he finds instead is far more complicated. In the winding path he travels--from Illinois to Eindhoven, and from dream to reality--Tom instead learns a lot about what he wants, what he has the right to expect from his life and where he's come from. And despite his age, he continues to grow, and finds a chance to love. Shelf Talker: A sweet, tender story of a decades-old, dreamed-of romance and the less elegant realities of aging.